↑ Deutsch, C.J., Self-Sullivan, C. & Mignucci-Giannoni, A. (2008). Trichechus manatus. IUCN Red List of Threatened Species. 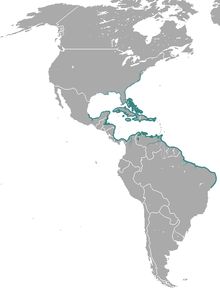 Version 2009.2. International Union for Conservation of Nature. Retrieved 2010-01-27. ↑ Domning and Hayek; Hayek, Lee-Ann C. (1986). "Interspecific and intraspecific morphological variation in manatees (Sirenia: Trichechus)". Marine Mammal Science. 2 (2): 87–144. doi:10.1111/j.1748-7692.1986.tb00034.x. ↑ Hatt (1934). "The American Museum Congo Expedition manatee and other recent manatees". Bulletin of the American Museum of Natural History. 66: 533–566. ↑ Vianna; และคณะ (2006). 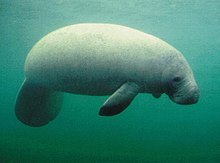 "Phylogeography, phylogeny and hybridization in trichechid sirenians: implications for manatee conservation". Molecular Ecology. 15 (2): 433–47. doi:10.1111/j.1365-294X.2005.02771.x. PMID 16448411. หน้านี้แก้ไขล่าสุดเมื่อวันที่ 15 กันยายน 2561 เวลา 20:40 น.